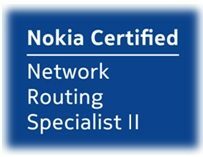 Nokia Services Architecture Exam is the Service Architecture Step of NRS II (Nokia Network Routing Specialist II) Certification of Nokia (formerly Alcatel-Lucent). Nokia Services Architecture Trainning mainly focus on VPN Services of Nokia (formerly Alcatel-Lucent). In Nokia Services Architecture Trainning, you learn Layer 2 / Layer 3 VPN Services, Service Configurations, Service Operations and Servivce Maintenance detailly. You gain hands on experience about How To Configure Services on ALU Routers. Hey Buddy!, I found this information for you: "Nokia Service Architecture". Here is the website link: https://ipcisco.com/course/nokia-service-architecture/. Thank you.